Let’s face it; no one wants to wait for re-runs when they miss an episode of their favorite show or forget to record. The Hulu Plus app lets you stream most episodes the day after they air and offers many older episodes as well for those nostalgic moments during the off-season. There is a monthly fee for access to Hulu Plus and an app is not available for the free version of Hulu. Have you ever wished you could take your TV with you on that business trip or to that boring family party? SlingPlayer allows you do just that. This app ($30) works in conjunction with a SlingBox. The app allows you to access any information stored on your TV, so no more waiting to get home to watch all of those recorded shows. The SlingPlayer also functions as a remote, so you can fast forward through content, schedule recordings on you DVR and pause in the middle of a show. Do you constantly find yourself texting your TV buddy during a show or have to refrain from live tweeting your reactions? If that is the case, then refrain no more. Zeebox and other social apps allow you to post about your favorite shows and interact with an entire fan-based community. Zeebox works with Facebook and Twitter while allowing you to start chat groups, invite friends to watch shows with you, and access news and other information about the shows you are watching. Did you recently hear about a new show you want to watch or simply want to find out where you can find episode 5 of season 3 of The Office? TV Guide Mobile is a free app that can help you quickly check out all of the live TV and streaming options to see where the show is available. Simply type in the show you want to watch and the app tells you which services provide the show. Ever get a burning question while watching a TV show, such as the name of a song on American Idol? Shazam is a growing platform that can help you ID songs as you watch. 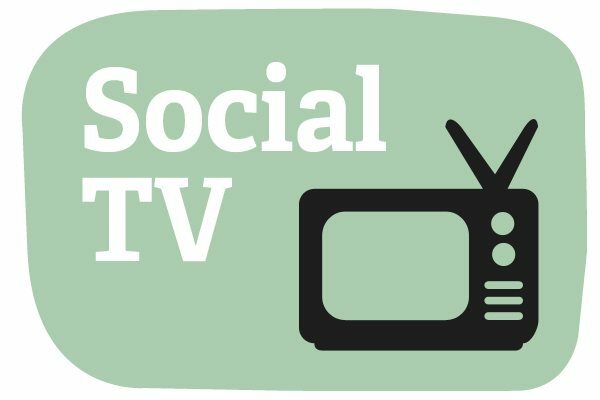 The app also augments the TV experience by providing trivia, celebrity buzz and social sharing. If you are a baseball fan, Shazam also provides video highlights, current stats, a social platform, and scores during the games. Adam Gilligan is a professional in the entertainment industry. He contributes to leading blogs around the web including GetDirectTV.org.